ss look at the pictures and they have to complete the sentences with the past tense of the verbs. there are only irregular verbs. When they finish they draw the time on the clock faces. The present downloadable handout is intended for high school students at Pre-intermediate (A2) and Intermediate (B1) level. 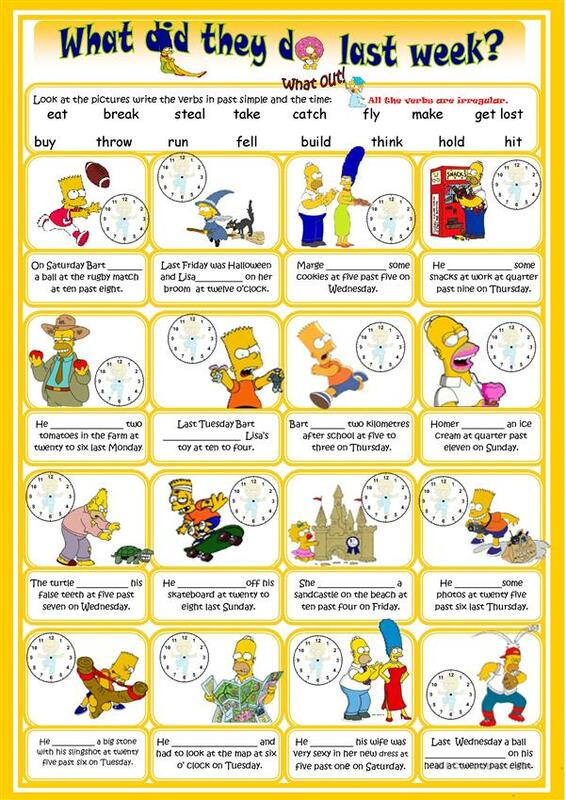 It is great for teaching Past simple tense in English, and can be used for improving your pupils' Reading and Writing skills.